Revision Test Papers are very useful resources to revise the entire syllabus before examination. 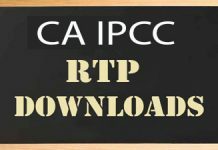 Here we are gibing all the download links to CA IPCC RTP MAY 2015, Nov 2014, May 2014, Nov 2013 in both English and Hindi Formats. 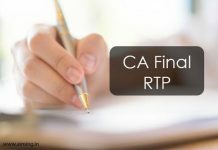 If you are comfortable with Hindi then you can download CA IPCC RTP In Hindi PDF files. Aspirants can test their level of preparation by answering the questions in the revision test papers. These RTP’s Can help students to know the insights of their preparation. Also useful to enhance the confidence levels of the students. 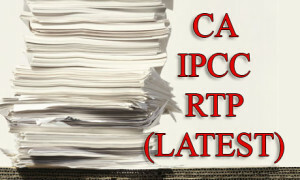 From the links given below you can download ca ipcc rtp Nov 2014 in Hindi. 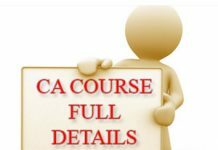 November 2013 ca ipcc revision test papers can be downloaded from the following links.